The Holiday season from November through January is often considered the worst time to put your home on the market. While the thought of selling your home during the winter months may dampen your holiday spirit, the season does have a few advantages that most people do not realize. Holiday buyers tend to be more serious and competition is less fierce being that most people pull their homes off the market during winter. Consider a few things before deciding to list your home during the Holiday, weigh your options, and then make your decision. Here are some tips to encourage you. 1. Hire a Professional. Save yourself some heartache and hire a real estate agent who will not disappear on you during Thanksgiving, Christmas, and New Year’s. Ask family and friends to refer you to someone they have worked with before, someone who is reputable and knowledgeable as well. This will ease your stress level and allow you to enjoy the holiday season. 2. Seek Out Motivated Buyers. Anyone house hunting during the holiday season must have a good reason for doing so. Work with your listing agent on targeting buyers with a deadline, including people relocating for jobs in your area, investors on tax deadlines, college students and staff, and military personnel if you live near a military base. 3. Price to Sell. 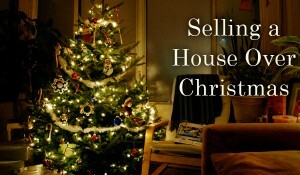 No matter what time of year it may be, a home that’s priced low for the market will make buyers feel merry. Have you agent gradually reduce your asking price each week, or slash your asking price even before you bring it to market. 4. Give House Hunters a Place to Escape From the Cold. Make your home feel cozy and inviting when it is being shown. Burn a fire, play soft classical music, or offer homemade Holiday treats. When you encourage buyers to spend more time in your home, you also give them more time to admire your homes’ best features. 5. Deck the Halls, But Don’t Go Overboard. Homes often look their best during the holidays, but be sure not to overdo it on the decor. Adornments that are too large or too many can crowd your home and distract potential buyers. Also, avoid offending buyers by opting for general fall and winter decorations rather than items with religious themes. Here at the Powell Group we do not believe in a “selling season”. The agents on our team have over 15 years combined experience and the tools necessary to sell your home smoothly and rapidly. We work FOR you. Place your bet on us this year, and bring us your home this Holiday Season. Our number one goal is customer satisfaction. We strive to meet your needs and sincerely value each of our clients as to build lasting relationships. Happy Holidays!